A sudden hard disk drive failure can be a terribly upsetting experience. Imagine dropping your work laptop containing the only known recent copy of your company’s financial data. Or it could be the dawning realization you can’t read the external hard drive you’ve been archiving your family pictures on for many years. Both of these scenarios can induce panic or that dreaded sinking feeling while you consider the options you have. Sadly, such an occurrence is almost inevitable if you’ve neglected to make those critical backup copies you swore you’d make. It can seem like your life is passing before your eyes as you contemplate the hours of work you may have lost or the irreplaceable photos and videos you’d entrusted to this now failing, treacherous mechanical device. Adding insult to your emotional injuries, you’ve also learned that the manufacturer of your hard disk drive has offered to replace your drive (if still under warranty), but won’t assist in the recovery of your lost data. 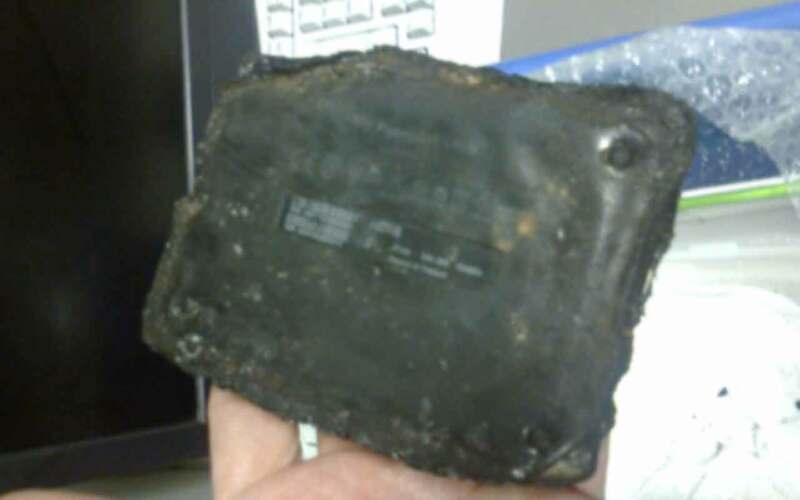 Plenty of people assume that hard drives cannot survive fire and all of their data is lost. Wrong! For quite a lot of customers we've managed to recover most of their valuable data. You can usually find something in the fine print of their warranties that absolves them of any responsibility for lost or irretrievable user data. However, if you had chosen to purchase one of their data recovery plans in advance AND the policy is still in effect, only then will they cover this expense for you by having you ship the drive to one of their partners for a recovery attempt. Otherwise, you will be on your own and running out of solutions. These are the kinds of stories that we receive from our customers almost every day. Hard disk drive failures are not as uncommon as you might believe. But at this point, you may be wondering whether anyone can possibly help you retrieve your lost data? Yes – and that is why CBL Data Recovery has been in business for over 20 years. We want to ease your anxieties and solve your problem as quickly as we can. We specialise in servicing hard disk drives for the purpose of data recovery, even in cases where other I. T. professionals or low level data recovery methods or providers have been unsuccessful. It is important to bear in mind that hard disk drives are not designed with repair in mind. This is one of the reasons why hard disk manufactures will usually offer to replace the defective device for you, but not service it. There are no industry standard manuals for repairing hard disk drive, as most manufacturers consider this information to be proprietary and confidential. For this reason, CBL’s Data Recovery Specialists have spent years studying the known issues and unique design consideration of each and every make & model that arrive at our recovery labs. This work may require some level of reverse engineering and certainly the years of experience in working within this very specialized field. Our technicians have spent years have learning about hard disk drives, from legacy products of years past to current models, so their response to the problems they encounter have been intuitive. Given that a failing hard disk drive could experience a more catastrophic failure at any time, it is also critical that our Specialists choose the correct strategy from the start to prevent any further data loss. It is just as important that you choose the right data recovery company from the start, as often there isn’t a second chance to recover lost data. An inexperienced technician can make a wrong decision that could either complicate or prevent recovery of your lost data. If you were to choose a surgeon to provide some life saving procedure, you would certainly want to consider their experience in the field before allowing them to work on you. With over 20 years and counting in the data recovery field, our Data Recovery Specialists possess the level of knowledge and experience you should want for such a delicate and important task. We can assist with recovering data from any internal hard disk drive, whether it is from a server, desktop or laptop computer and regardless which architecture or operating system used. CBL’s data recovery services are warranty safe and have been recommended by leading manufacturers including Western Digital, Toshiba, Fujitsu, Samsung, Hitachi and others. Rest assured if you are in need of hard disk recovery services for your hard disk drive. Our technicians have the level of experience you should expect from a data recovery service. Our objective is to ensure that your needs are met and surpassed.